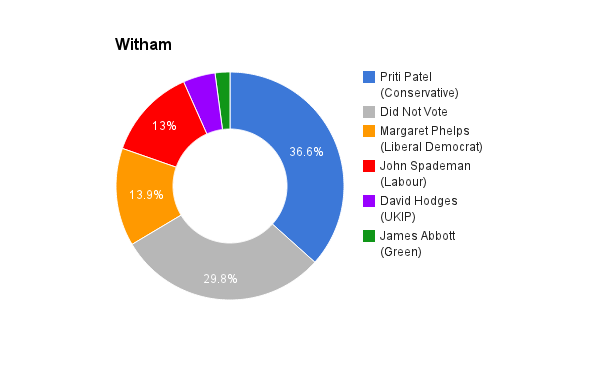 Witham is located in Essex. The seat was created in 2010. The current member of parliament is the Conservative Party’s Priti Patel who was elected in the inaugural election for this constituency.